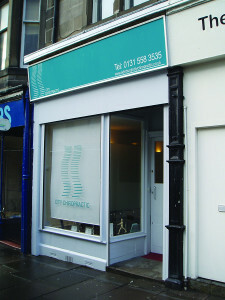 City Chiropractic is an established clinic which has been offering Chiropractic care at 44 Rodney Street in the Canonmills area of Edinburgh since 2001. Pamella Chu is co-owner of City Chiropractic and has been practising there since 2008. At City Chiropractic you will find the same treatments and standards of patient care that are practiced at Borders Chiropractic. To book an appointment at City Chiropractic please call 0131 558 3535.